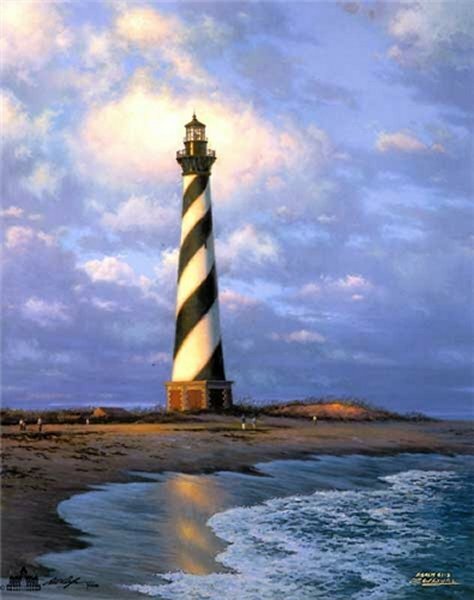 Cape Hatteras by Larry Dyke ~ I painted this lighthouse because it looked exquisite in late summer's light. The Bible verse that I love to use here is Psalm 43:3, which says, "Send forth your light and your truth; let them guide me." His Truth guides us far better than any lighthouse, wouldn't you agree?